under my name and go shopping in someone else’s suitcase. I’ve changed my address again. 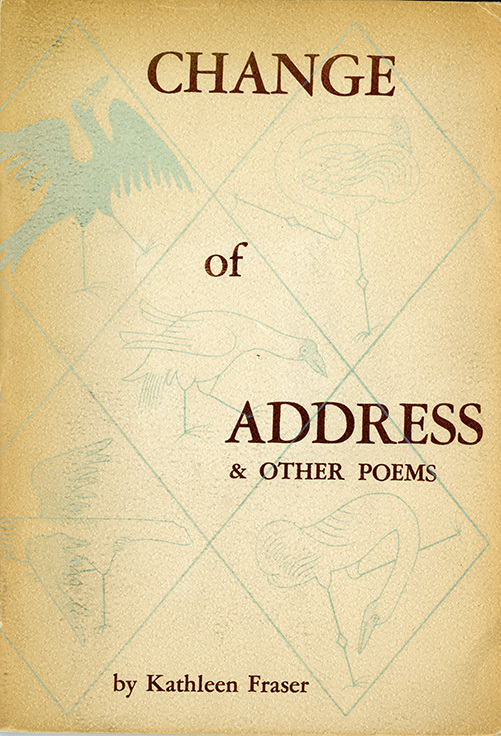 A few years ago when we started planning our project of digitizing rare chapbooks from our collection that represented important voices of the Mimeo Revolution, we knew we wanted to begin the series with Kathleen Fraser’s 1966 Change of Address, her very first collection. 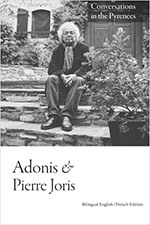 This first volume predates her radical innovations with fragmentation and hybrid form but flags her restless inquiry into and observation of liminal experience: “a thumb print / in the dust, now / and then, / small clues / to sustain the fact of us” (“Glass”). 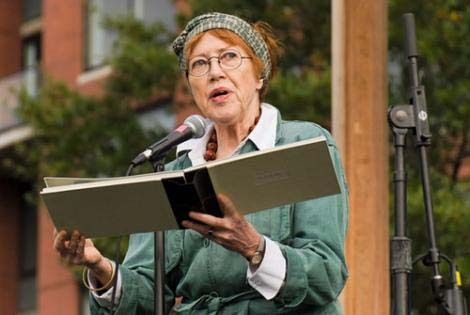 We welcome you to spend time with Change of Address and listen to Kathleen reading poems from the collection. We are grateful to have this book in our library and to be able to share it with you.